Product prices and availability are accurate as of 2019-04-11 10:31:38 EDT and are subject to change. Any price and availability information displayed on http://www.amazon.com/ at the time of purchase will apply to the purchase of this product. 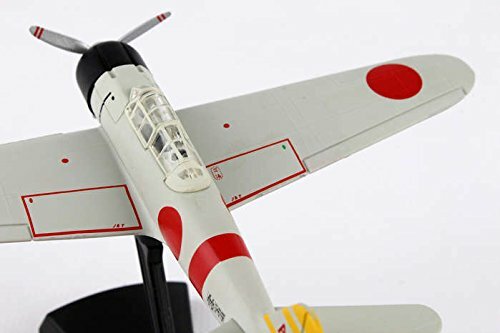 This die-cast metal model airplane comes in 1/97 scale. Model is approximately 3 1/2 inches long with 4 1/2 inch wingspan. 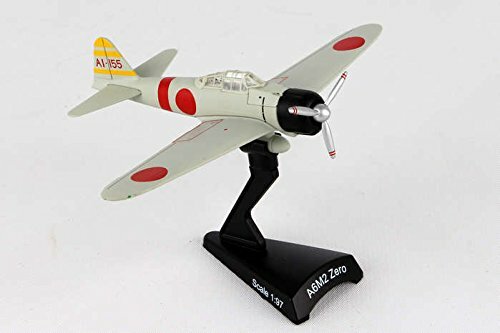 The A6M2 Zero is a carrier based aircraft operated by the Imperial Japanese Navy during WWII. It was the Allies main opponent in the Pacific Air War, combining long range with superior maneuverability and firepower. It had a maximum speed of 331 mph. (532 ham) and the ability to climb to 6,000 m in under 7.5 minutes with tremendous range of 1,600 miles. It was a legendary deadly weapon in the dogfight and was famous for its ability to outmaneuver American fighters at the start of the war. The Allied forces eventually caught up with the Zero, with development of better aircraft and better techniques, and towards the end of he war the Zero was mostly used fro Kamikaze attacks against Allied Naval Ships. On December 7, 1941, the Japanese aircraft carrier Akagi with 5 other carriers and 14 other ships launched two waves of aircraft attack on the United States Naval Base in Pearl Harbor, Hawaii. 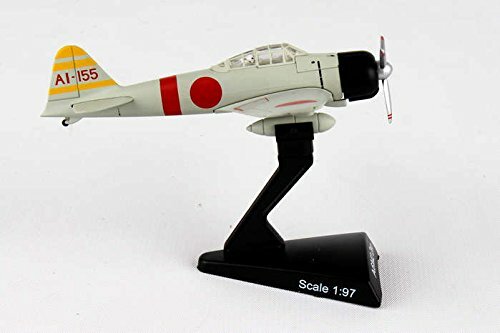 This model is a replica of the Mitsubishi A6M2 Zero, tail AI-155, piloted by LT CMDR Shigeu Taya, overall leader of the first wave of the attack. 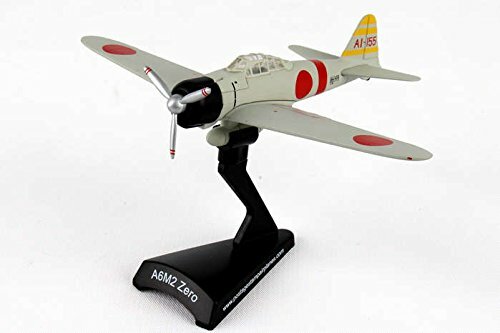 1:97 Scale Diecast with Stand Length: 3.5 " Wing Span: 4.75" Realistic Die-Cast Collectible Model Ages 14+ The Mitsubishi A6M "Zero" is a long-range fighter aircraft, manufactured by Mitsubishi Aircraft Company, a part of Mitsubishi Heavy Industries, and operated by the Imperial Japanese Navy from 1940 to 1945. 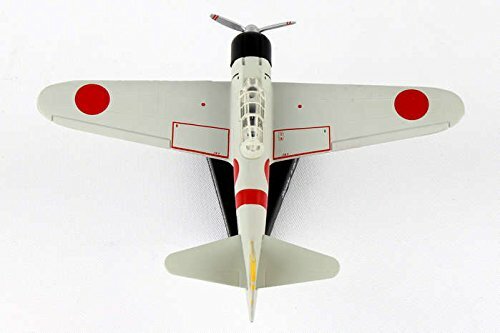 The A6M was designated as the Mitsubishi Navy Type 0 carrier fighter, or the Mitsubishi A6M Rei-sen. 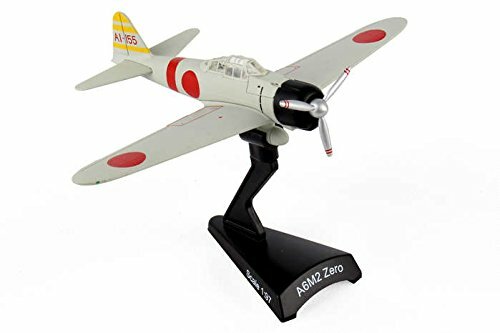 The A6M was usually referred to by its pilots as the "Reisen" (zero fighter), "0" being the last digit of the imperial year 2600 (1940) when it entered service with the Imperial Navy.